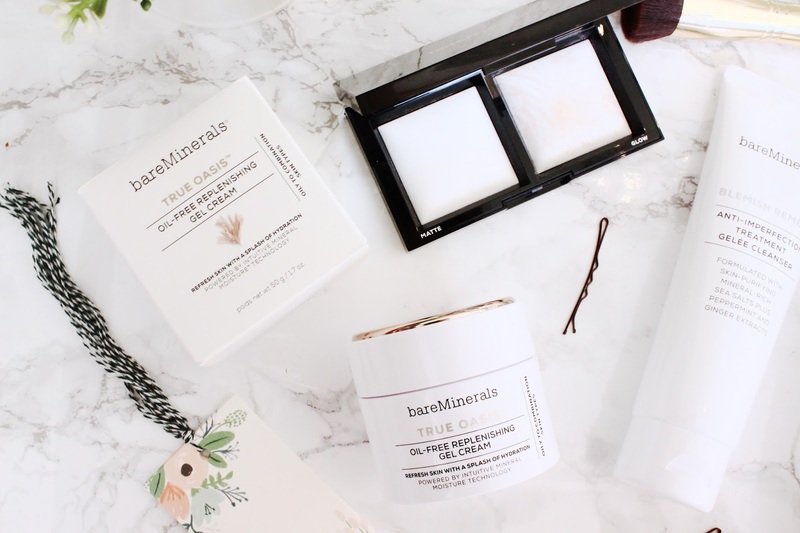 It's no secret that I'm a big fan of Bare Minerals, over the past few years I think they've completely transformed the look of their brand and I'm not complaining. I've recently been loving a few of their latest releases so wanted to share why I think they're so great. Let's start with the new Invisible Light Translucent Powder Duo, which looks like something that could have come straight out of an Hourglass collection. 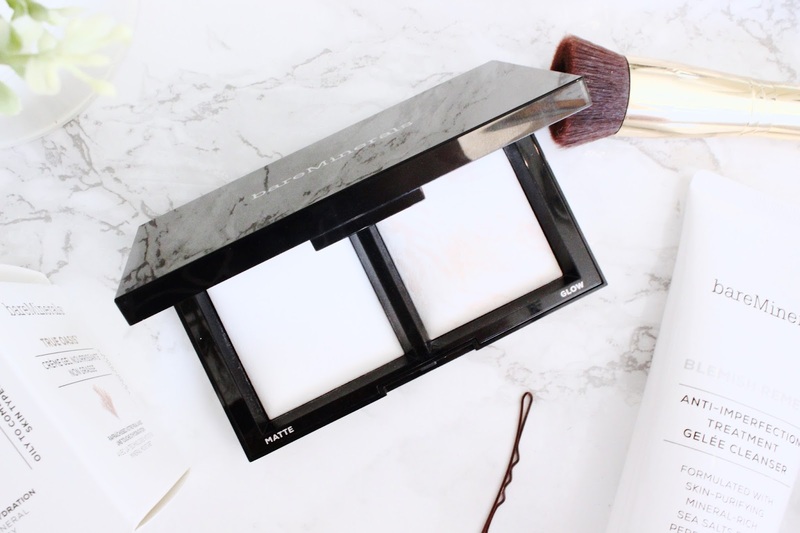 It's a duo palette containing one matte powder and one glow powder. I like the matte powder but for me the winner is hands down the glow powder. I find that it gives a lovely subtle glow and sites really nicely all day on top of make up. I've taken this palette on a few overnight trips recently and it's been so handy, plus it looks really pretty too! Next I wanted to talk about some of their skincare products they've launched this year. 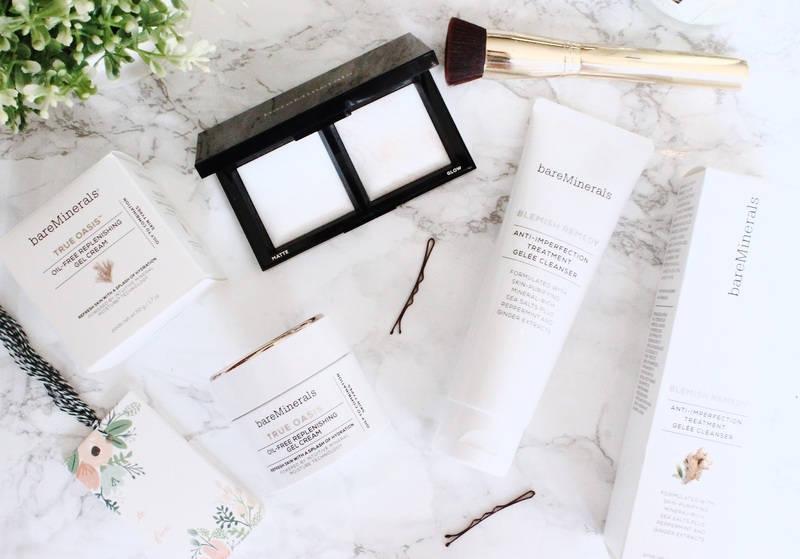 I think they've absolutely nailed the aesthetics with their skincare releases, they're all super clean and white with a hint of rose gold. They clearly know the way to a bloggers heart. My favourite from the launch is the True Oasis Oil Free Replenishing Gel Cream. I've liked this for for the hotter weeks we've been having as it feels like light and cooling on the skin but nourishing at the same time. The other skincare product I've been trying is the Anti-Imperfection Treatment Gelee Cleanser, which I don't think I can give a full review of as I think it's mainly aimed a skin types that are more prone to acne so I can't review it on that front. What this did help with though, is declogging of pores around that nose, which I'm super prone to! It contains Salicylic Acid to remove impurities and dissolve dirt in the pores. 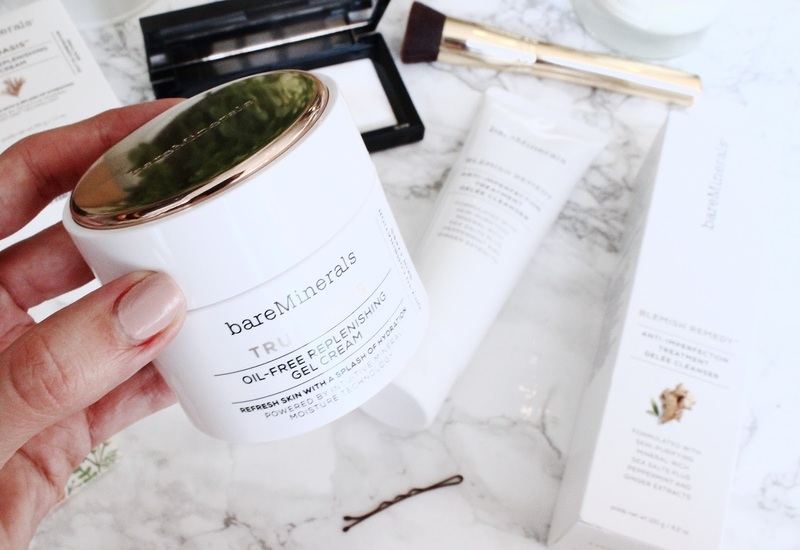 I'm a massive fan of BareMinerals products also, yet to try their skincare range though... from the packaging I'm sold! Ohh, you really need to try! Great range. The oil free replenishing cream sounds wonderful for my skin!